Third year in a row, Abir First Take, gives voice to the expressions of young artists from across India. 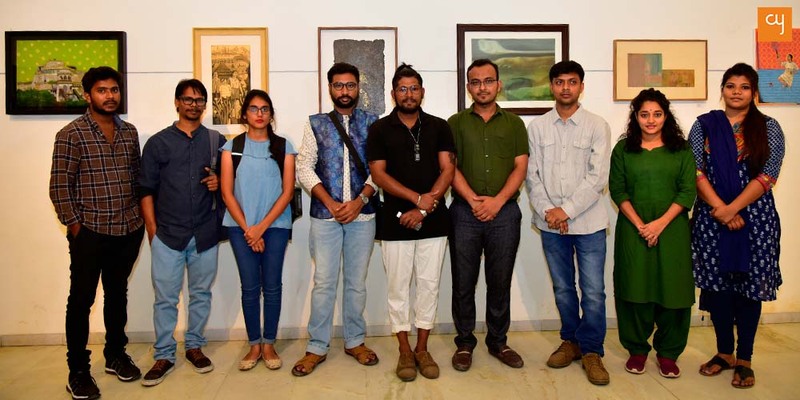 The competition attracted close to 2000 entries out of which the decorated jury hand picked 111 artworks to be showcased at the annual display held in Ahmedabad from October 27 to November 2, 2018 at Hutheesing Centre. 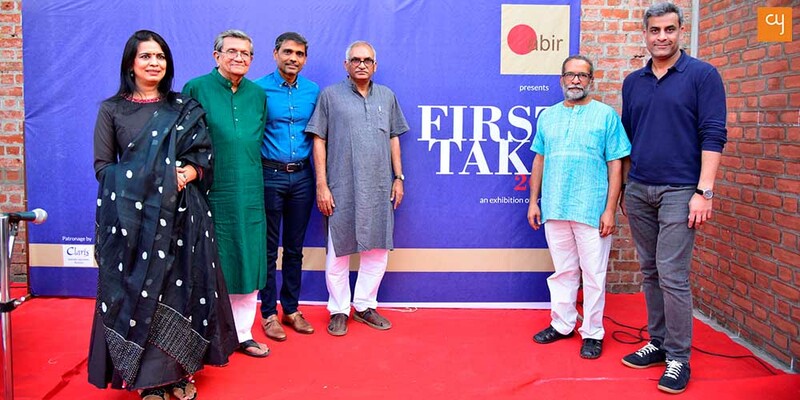 With its third edition Abir First Take, claims its stake as one of the most prominent art competition for the young artists in India. 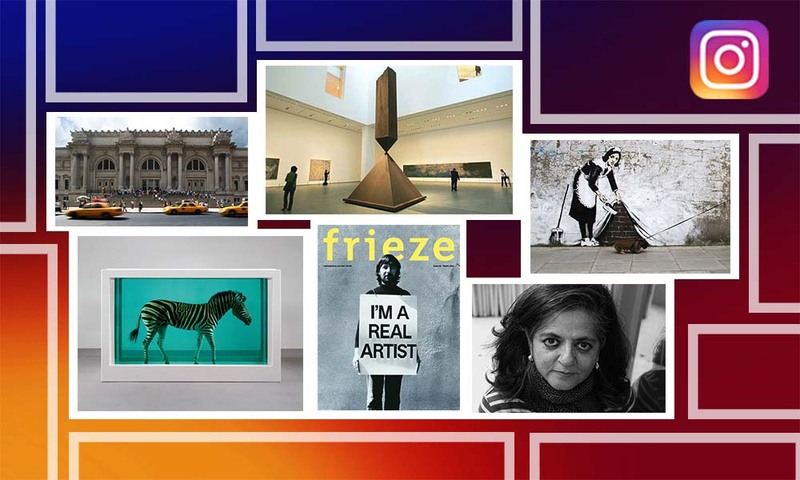 The exhibition features 111 artworks, selected from 1922 entries, received from various corners of India. The art on display is diverse and comprises paintings, prints and sculptures of varied scale and themes. These entries were screened by an eminent jury comprising of veteran artist Amit Ambalal, award winning sculptor Ravinder Reddy, Fine Art print expert Vijay Bagodi, painter Seema Kohli and Padma Shri filmmaker Muzaffar Ali. The display opened on October 27, 2018 with an awards ceremony that felicitated 10 artists in the presence of Landscape artist Aniket Bhagwat and Arjun Handa, Vice Chairman & MD, Claris Group apart from the illustrious jury members. 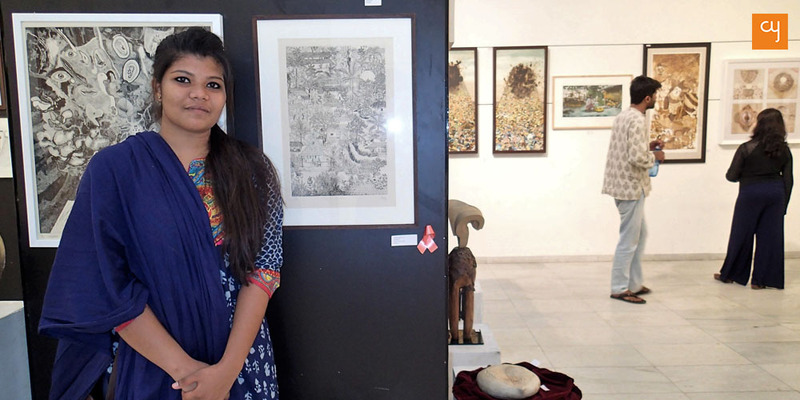 The artists who took home top honours include Deepika Sakhat, Suvendu Bhandari, Ram Yadav, Ayushi Sainni and Dhaneesh T were recognised for their painting work, whereas Neelima Nath OP and Akbar Ali Sunasara won the prize for in etching. Mayadhara Sahu, Souvik Das and Arjun Das were honoured in the sculptures category. Founder of the initiative, organic dye artist Ruby Jagrut informed in a media interaction, “Unlike last year, when we declared only five winners, this time to encourage more artists we have awarded ten creators. 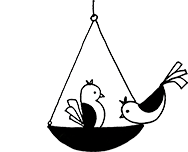 The scale of Abir First Take is growing each year as we crossed the mark of last year’s 117 cities and received entries from more than 192 towns. Few of which we have never even heard of.” By all means this is a significant feat achieved in a span of 3 years. Award winning Sculptor Ravinder Reddy, who was present during the inaugural says, “The artworks selected for the prize are from participants who are below the age of 35. Judging these kinds of competitions helps us get an overall picture of what the young artists of India are thinking these days. And looking at these 2000 entries, I think all of them are well informed and on the right track.” As rightfully put by Reddy, Abir First Take is a window to the minds of young artists of India. 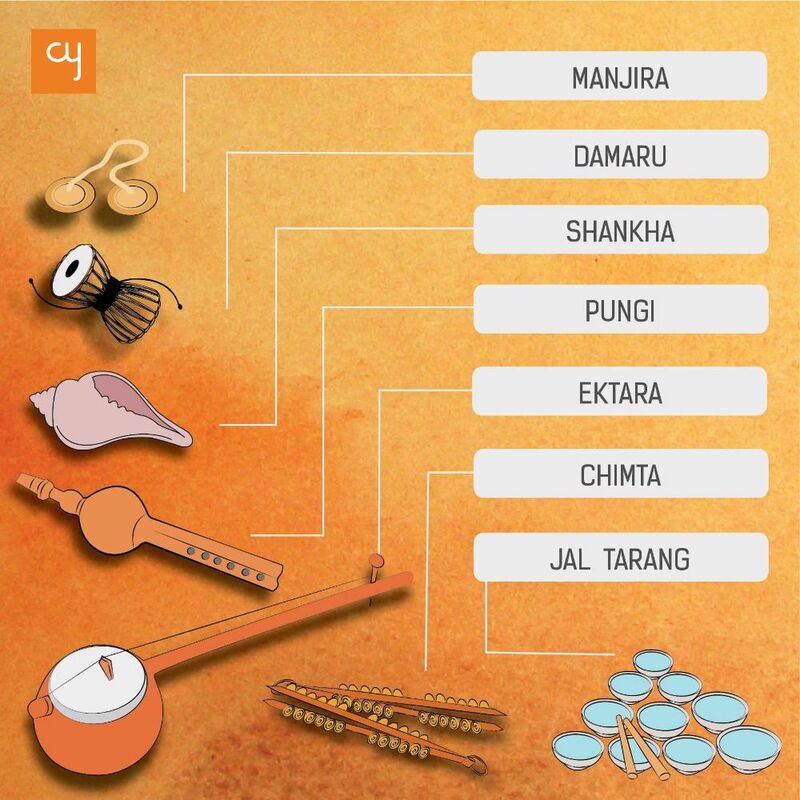 Their choice of subjects, topicality, style of work, it all gives a sense of artistic evolution across India. For us at CreativeYatra, this is an opportunity to get to know the journeys of the art aspirants and know about the challenges and triumphs. From the eastern corner of India, in Hoogly, West Bengal comes artist Suvendu Bhandari. 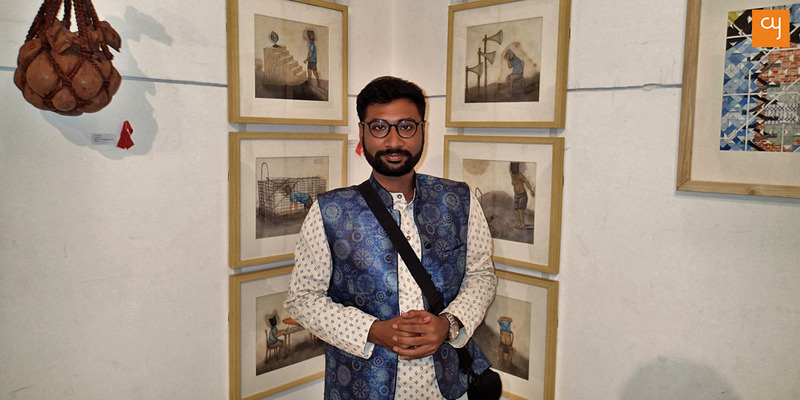 Trained in arts from Visva Bharati University in Santiniketan, Bhandari has brought out the tensions and turmoils of his early life in his set of 8 watercolour paintings. 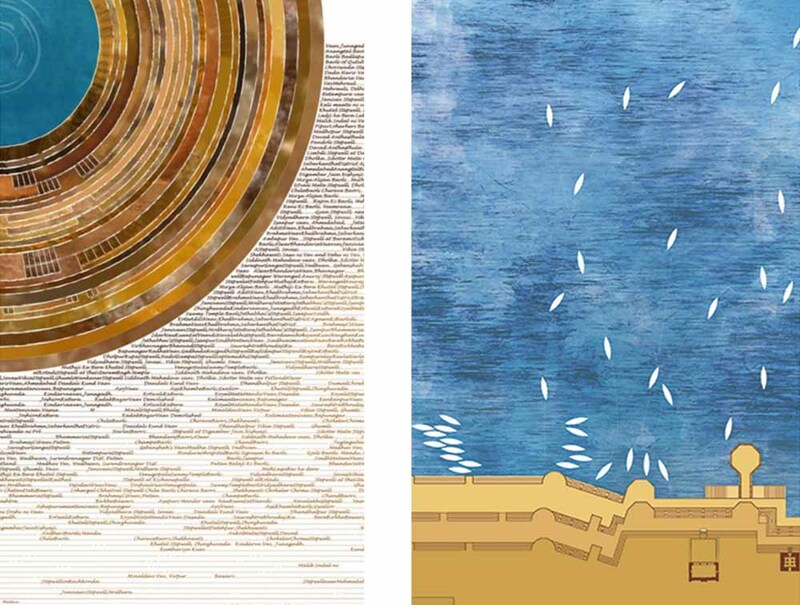 He has experimented his choice of medium and material, which is low cost hand made paper and locally available colours, to depict the resource scarce condition. In his paintings he showcases the different conflicts of urban life, as perceived by him. Yet another story of grit is of Arjun Das, the 25 year old artist from Giridih in Jharkhand. As a child of 12, Das used to work at a road side eatery (dhaba) in his village, to support his family financially. He later moved to Kolkata, for better pastures, and to pursue arts. 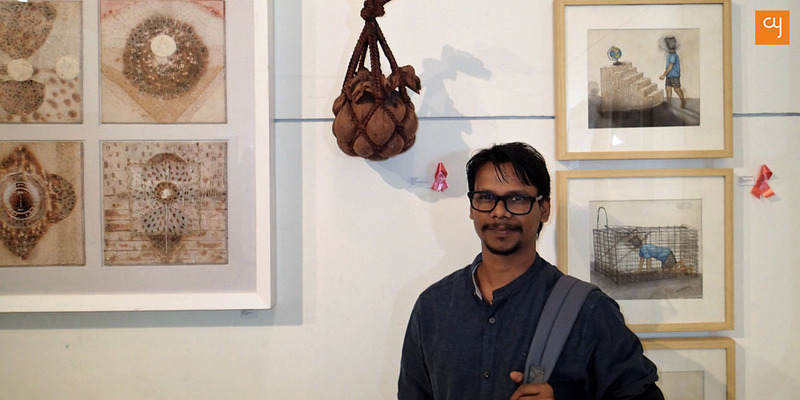 He studies masters in arts from Rabindra Bharati University and his artistic enquiries focus on the life and conditions of immigrants to metro cities, who work as daily wage earners. Das in his wood sculpture is trying to reflect the pathos of the people he deeply empathises with. At Abir, this time, it seemed that grit and perseverance were at centre-stage. 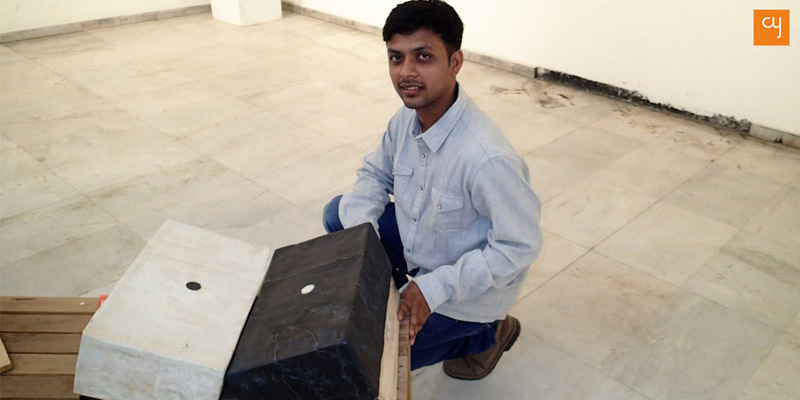 Take Souvik Das, from Kolkata, who has braved family resistance to pursue arts. Das shared with us, “My father was skeptical about me being a professional artist.” He has not received encouragement from his father, it was his self-belief and the trust of his mother that saw him through. He excelled in academics, at both graduation and post-graduation levels, from Government College of Art & Craft, Kolkata, which eventually altered the perception of his family and others around. Today, his father takes pride in his accomplishments and supports his journey. Das’s story reinstates the importance of persistence in an artists life. At Abir First Take he got awarded for his sculpture, made using ceramic and wood, and is inspired by the geological formation of natural caves. Abir First Take, as mentioned earlier, is a display of wonderful art, but if you look deeper into the stories of these young expressionists, it turns out to be much more. The 111 works of art at Abir are a testimony to the human desire to express, and a scintillating proof of artistic perseverance that exists in our society. The exhibition full of paintings, sculptures and prints will remain open to all from 4 pm to 8 pm, at L & P Hutheesing Visual Art Centre, until November 2, 2018. Come and get inspired!